Viknesh Vijayenthiran August 25, 2018 Comment Now! It's time for the likes of Bugatti and Koenigsegg to step aside, as bespoke hypercar manufacturer SSC North America is ready to reclaim its previously held title of maker of the world's fastest cars with the long-awaited Tuatara. 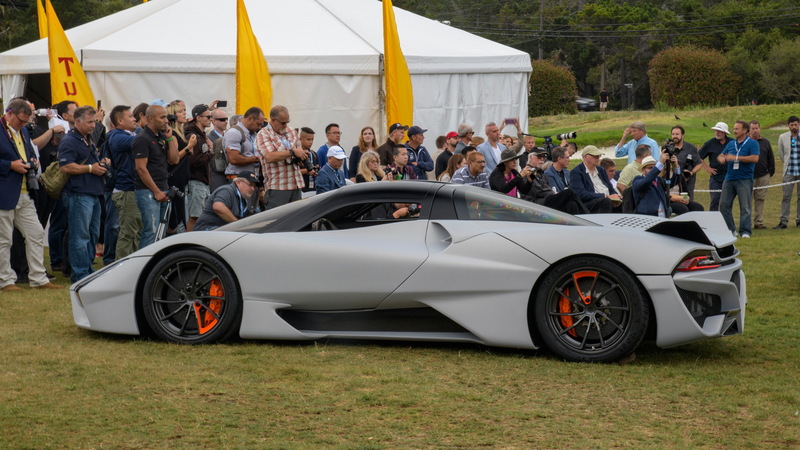 The homegrown hypercar was originally penned by Jason Castriota, a former Pininfarina designer responsible for stunning machines such as the Ferrari P4/5 by Pininfarina and the Maserati Birdcage 75th concept. 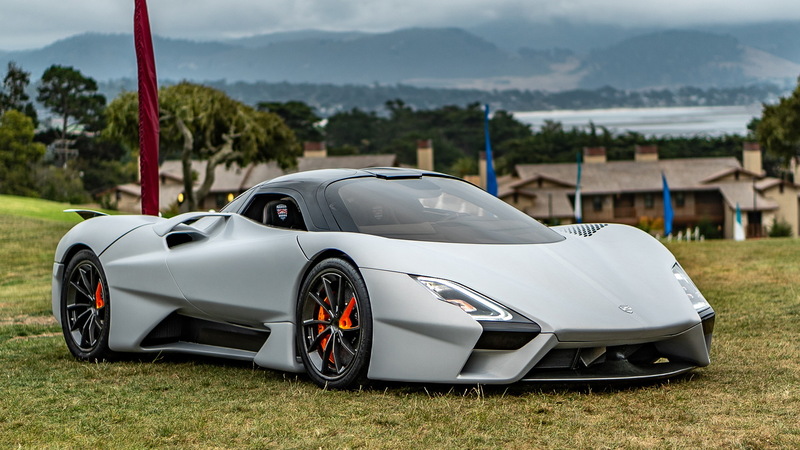 His penchant for clean aesthetics blessed the original Tuatara concept unveiled seven years ago, with the lines refined and massaged over the years into the production-intent design shown for the first time Friday in Monterey, California. Yes, the SSC is finally ready to go ahead with production of the Tuatara and the numbers being touted are even more impressive than before. That's because the mechanical package has changed somewhat over the years. There's still a twin-turbocharged V-8 under the hood, but the displacement has been reduced from an original 7.0 liters to 5.9. The smaller displacement was vital to seeing the redline move to a lofty 8,800 rpm, which is close to where the peak power of 1,350 horsepower is generated. Switch to E85 fuel and the power number jumps to a stratospheric 1,750 hp. The mighty motor is mated to a seven-speed automated manual transmission and sits in the middle of a carbon fiber monocoque chassis. 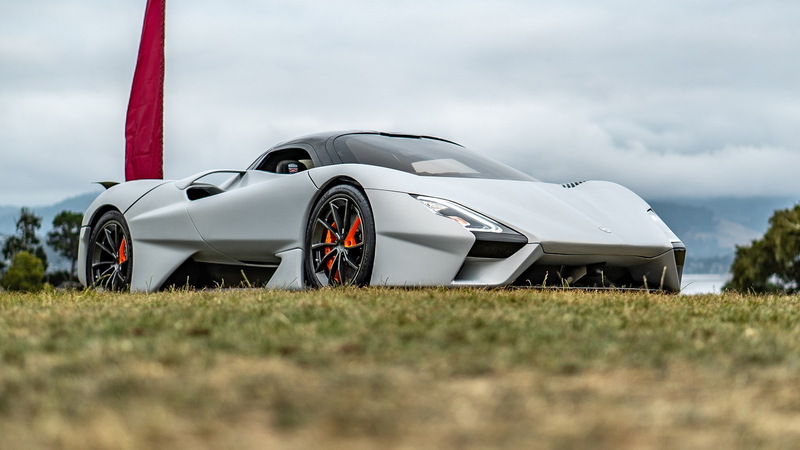 The wheels and body are also carbon fiber and together with additional weight-saving mods sees the dry weight of the Tuatara come in at only 2,750 pounds. That's a full 600 pounds lighter than a Lamborghini Aventador SVJ. The suspension of the Tuatara is an adjustable hydraulic setup with unequal length upper and lower A-arms as well as coil-over springs. And attached at each hub is a carbon-ceramic brake rotor: 16-inch with six-piston calipers front and 15-inch with 4-piston calipers rear. The standard tires are Michelin Pilot Sport Cups measuring 245/35 front and 345/25 rear, and come wrapped around 20-inch wheels. 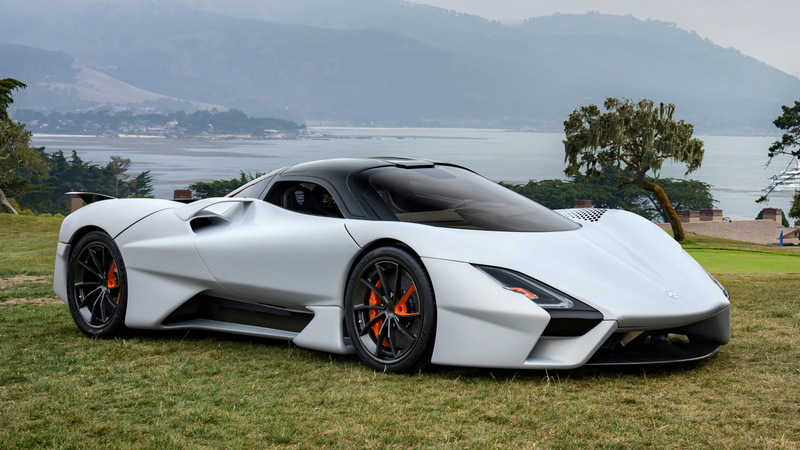 The design of the Tuatara has evolved since the reveal of 2011's concept version. In particular the rear section is noticeably different thanks to a new wing design and significant venting in the rear fascia. But importantly the coefficient of drag remains a low 0.279. The interior, too, has been given an update since the original concept. There's a configurable instrument cluster with a 300 mph speedometer and information for shift points and horsepower usage. Most of the controls are via a touchscreen, and the traditional side mirrors have been replaced by a camera-based system. With the Koenigsegg Agera RS having set a new land speed record for production cars of 277.9 mph last year, SSC is ready to step up to the challenge. 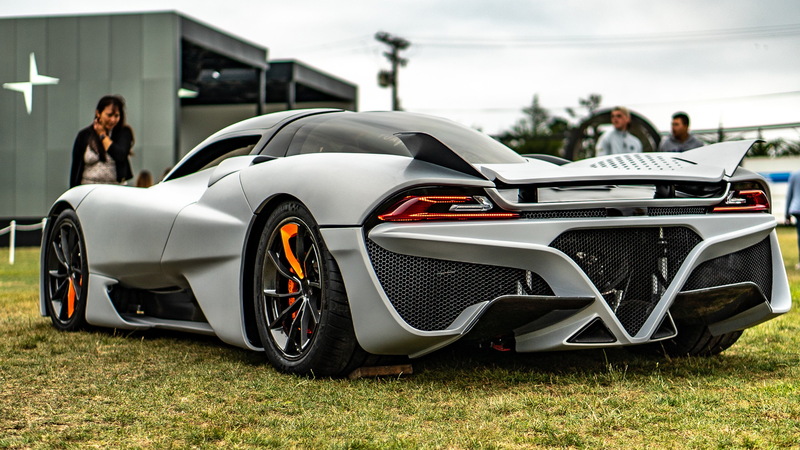 The company is still finalizing performance numbers but has said the Tuatara should outperform the other hypercars competing for top speed and all-around performance. That includes fellow American company Hennessey Performance Engineering and its 1,600-plus-hp Venom F5. Gauntlets have well and truly been thrown. And in case you were wondering, the Tuatara name was borrowed from a lizard native to New Zealand. The lizard is known for having the fastest molecular evolution of any living animal.